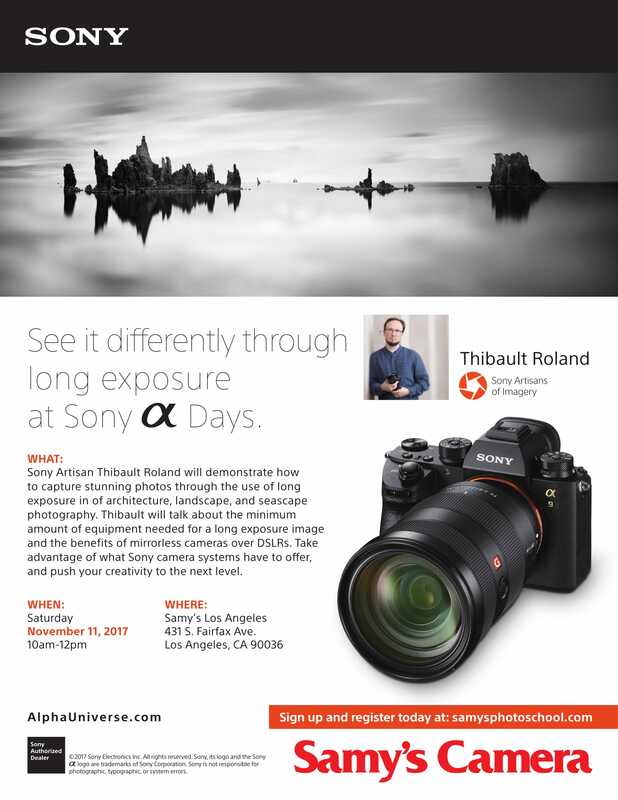 Sony Artisan Thibault Roland will demonstrate how to capture stunning photos through the use of long exposure in architecture, landscape and seascape photography. Thibault will talk about the minimum amount of equipment needed for a long exposure image and the benefits of mirrorless cameras over DSLRs. Take advantage of what Sony camera systems have to offer, and push your creativity to the next level.